David joined StreetSquash in 2017. He got his undergraduate degree in Creative Writing from York University in Toronto in 1986, where he also coached the varsity squash teams. 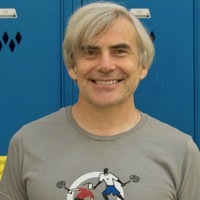 After graduating, he worked as a squash coach in Toronto and Vancouver and an ESL teacher abroad before moving to New York to manage a language school in 2008. In 2014 he completed an MS in Nonprofit Management at the New School. As a junior and adult, David was ranked in the top 10 in Canada, and he twice won the Ontario 40+ Championships.